The newly remodeled Balcony View Suite enjoys a private and covered balcony. The windowed, second-story suite overlooks Republic’s historic main street and has a lovely view of the mountains that surround the town. 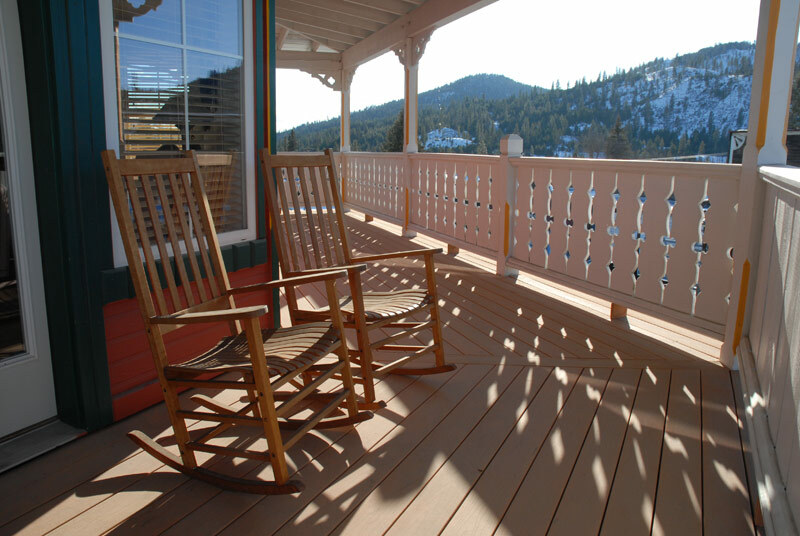 On the sweeping deck, comfortable rocking chairs await your visit. In the clear-blue skies overhead, you may see eagles glide by and see deer grazing on the hillsides and (sometimes) on nearby lawns. 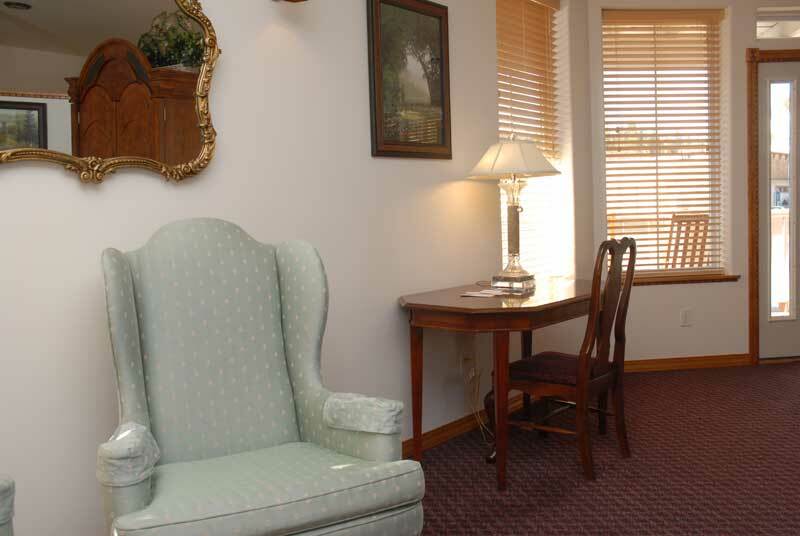 Throughout, the suite’s decor is elegant and clean, with many Western Victorian furnishings that provide warmth and comfort. The sleeping area includes a four-poster King-size bed, two elegant wing-backed reading chairs, a large-screened television, alarm clock, telephone; as well as a modern, private bathroom with a glass-walled shower. A separate living area invites relaxation, with its over-stuffed leather love seat and chair with ottoman. The living area also includes a fold-open coffee table (just right for holding snacks or board games); and a telephone and flat-screen television. 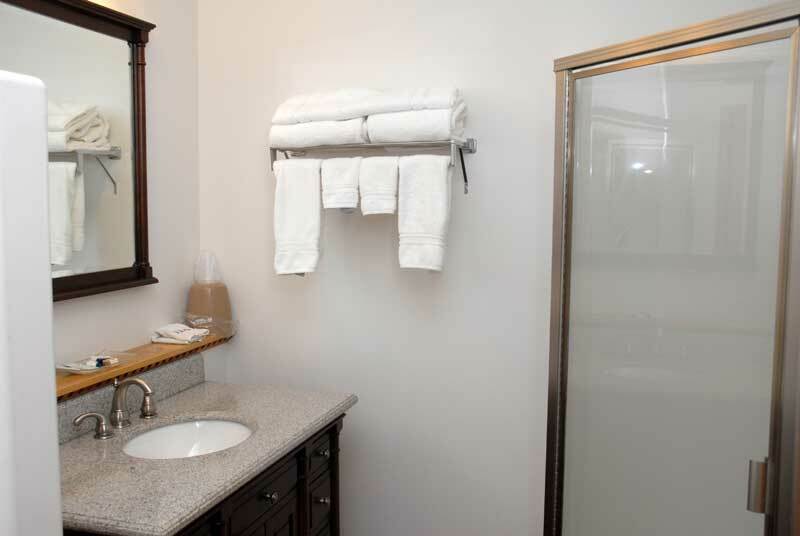 The suite includes an ensuite kitchenette with stove top, refrigerator, and microwave. A comfortable desk and chair, placed between the living and bedroom areas, provides an inviting spot to work on your laptop or write a postcard. All our rooms include an alarm clock, free local calling, amenities like soap, shampoo, and lotion, and morning coffee in the lobby. Blow dryer, iron, and ironing board available on request. Call (509)775-1068 for reservations and pricing. 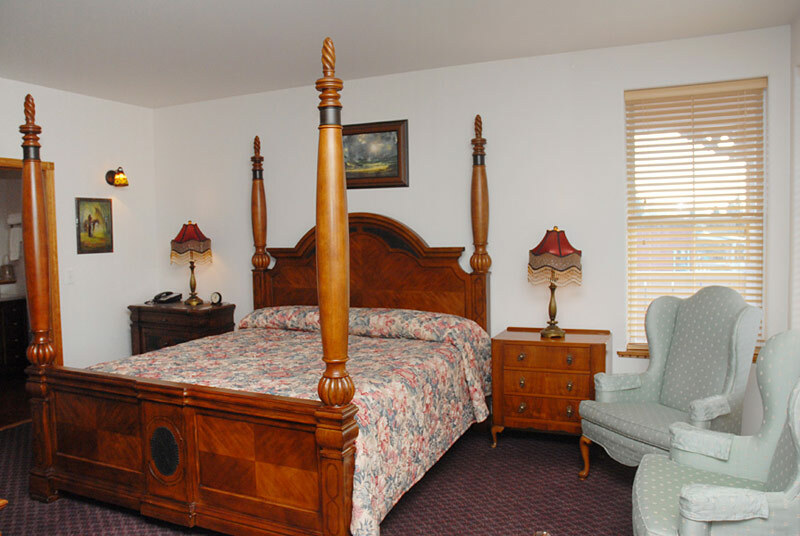 The sleeping area includes a roomy, four-poster King-size bed. 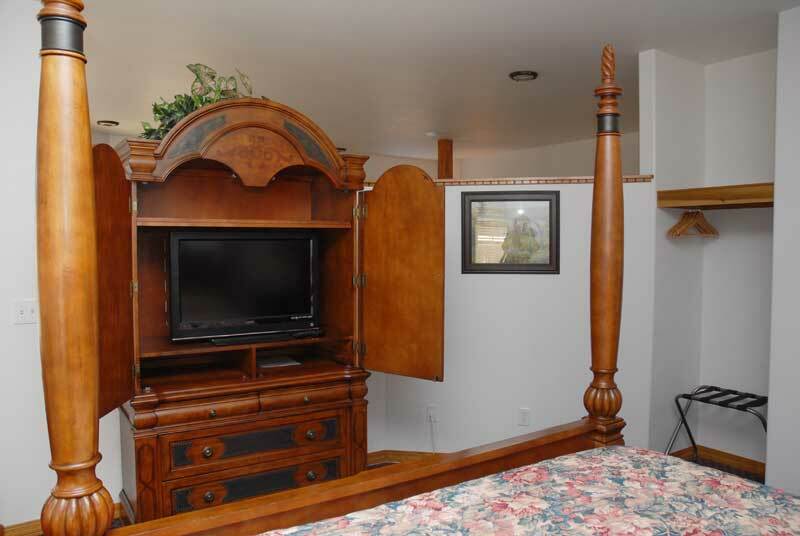 Large-screen cable television in bedroom. 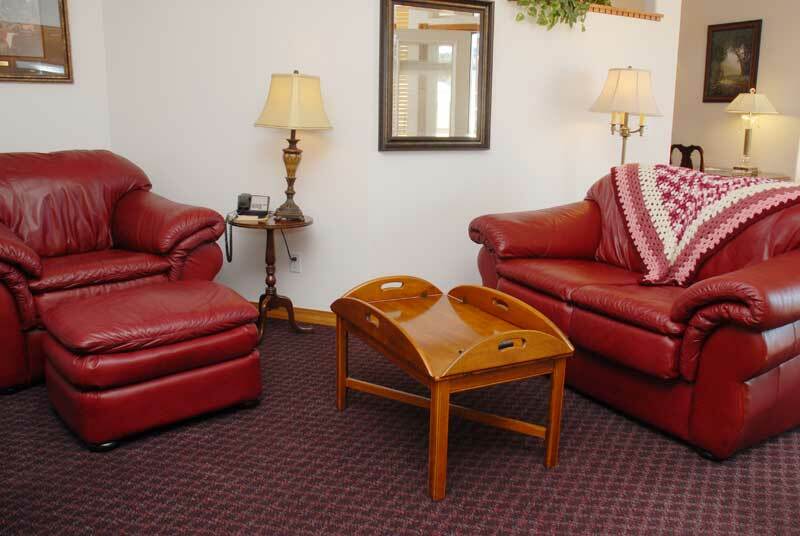 Living area includes comfortable leather-covered love seat, chair, and ottoman. 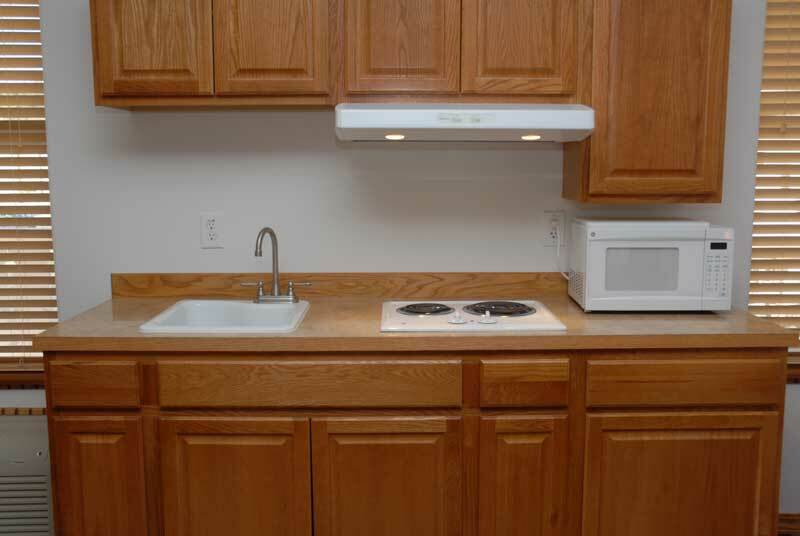 Kitchen includes refrigerator, sink, stove top, microwave, dishes, pots, and utensils. Our well-lighted desk is a perfect place to set up your laptop or tablet and link to our free Internet access. Clean and fresh bathroom with shower. 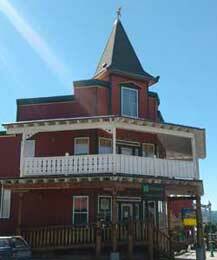 Covered private deck and comfortable rocking chairs overlook downtown Republic and area mountains. A pleasant place to sit and rock, no matter what season you visit.